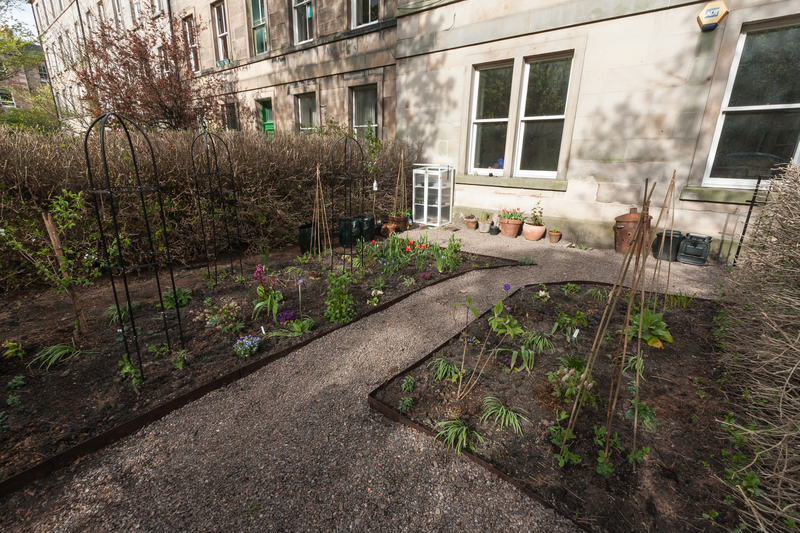 If anyone in Edinburgh didn’t complain about the cold, wet weather of May, it was the owner of a new garden of entirely new plants, whose undeveloped root systems were happy not to cope with warmth and dryness quite yet. What the plants didn’t appreciate this month, however, was the wind. It’s a breezy little manor, this front garden, situated as it is on a North-to-South street, and the gales whip up against the tall buildings and beat back down upon the front gardens like nobody’s business. 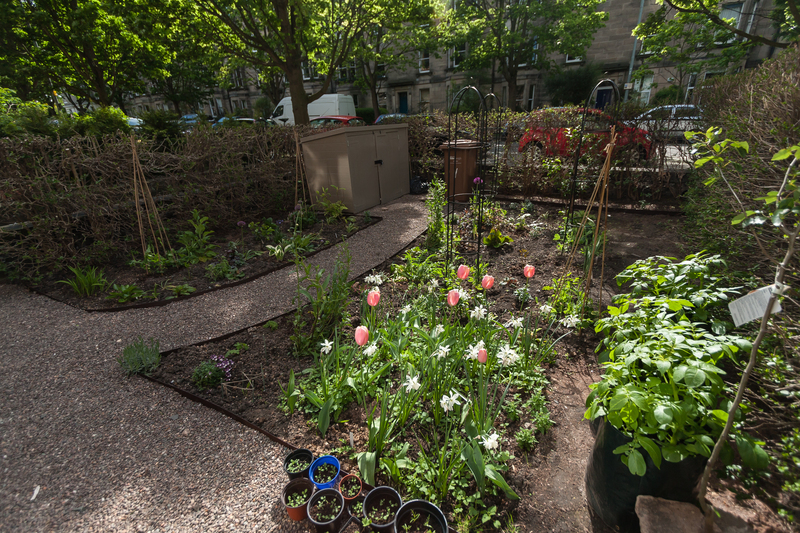 I can look out at the back green behind the tenement, calm as a monastery, then cross over and look out to the front and see my tulips and daisies practically flattened by insane, punishing winds. 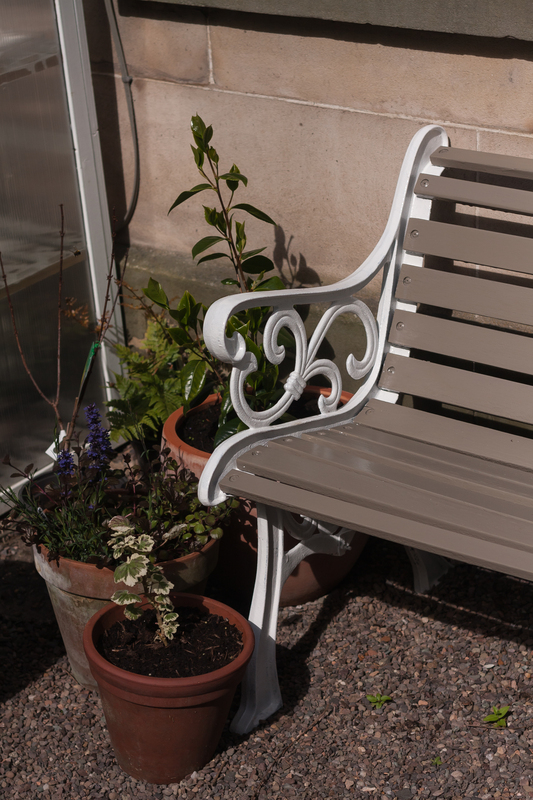 This month brought big changes, from a newly painted shed and bench, new plants, and welcome (if late) blooms. Here are the same views from April. You’ll see that the very attractive rusting incinerator is still in pride of place. Perhaps it will have found a new home by June’s end of month view; we’ll see. You’ll see from my pictures that the garden is a hotch-potch of experiments. 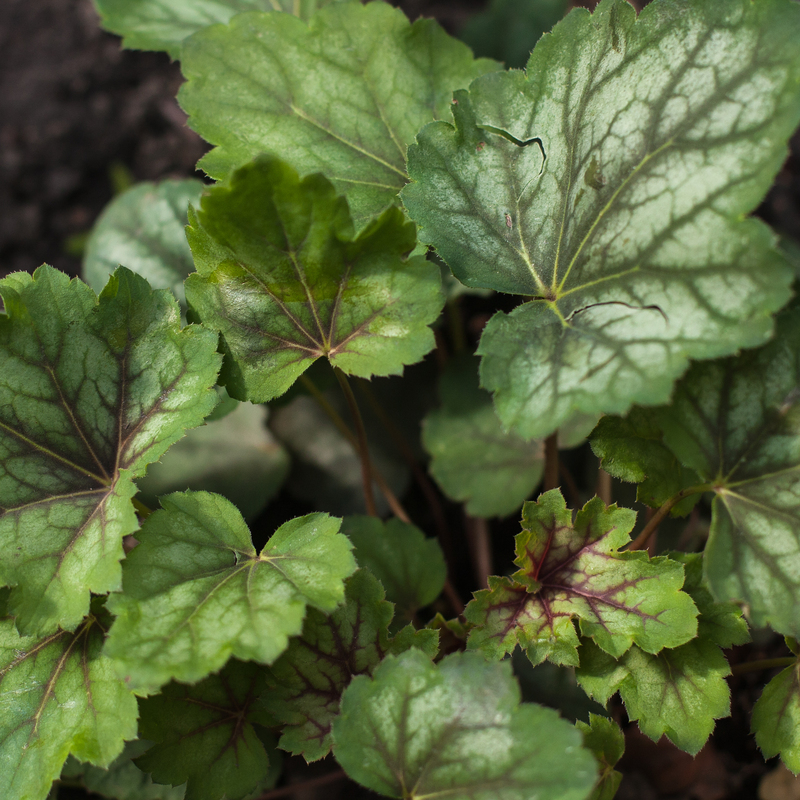 I have been buying whichever plants I like the look of, either that I have admired on other people’s blogs, or have read about in my collection of gardening books, or seen blooming nicely in my neighbours’ front gardens or in the garden centre. Still not quite au fait with the garden itself, its habits of sun and shade, of soil type and drainage, wind direction and so forth, I am working under the expensive but interesting principle of throwing plants in and seeing what sticks. Later this month I’ll write a post specifically on the successes and failures to date. 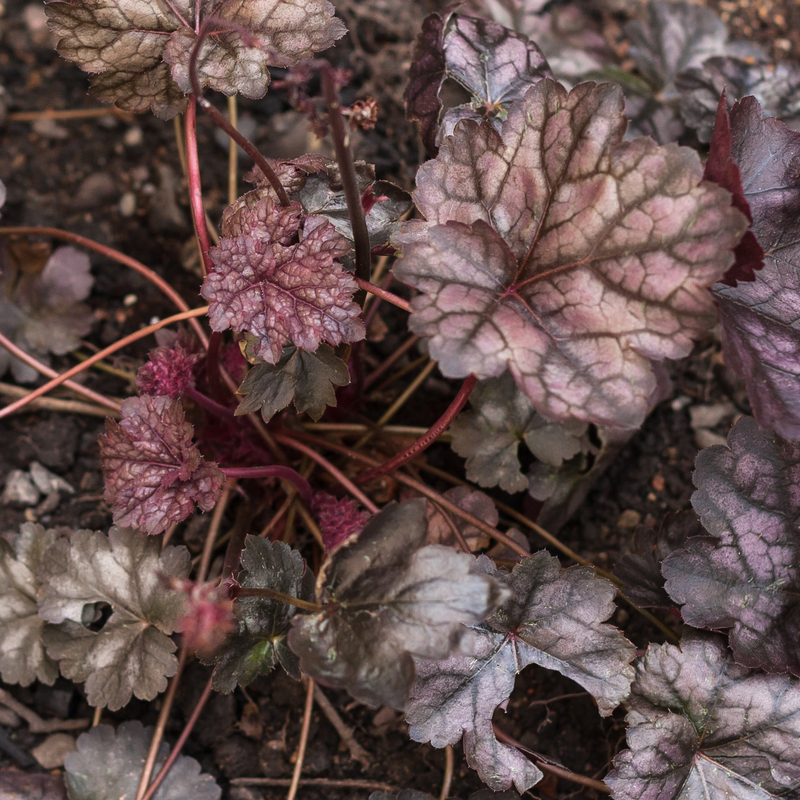 Once it becomes apparent which plants are doing happily, I’ll divide and spread those so that the garden is full of a narrower selection of lush, healthy plants. At the same time I’ll dig out and remove the ones that haven’t done well, whether because of the wind or the shade, or because (like the rather leggy, ragworty daisies just visible in the pictures) I simply haven’t taken a shine to them. Late Tulipa ‘Menton’, with newly painted bench behind. 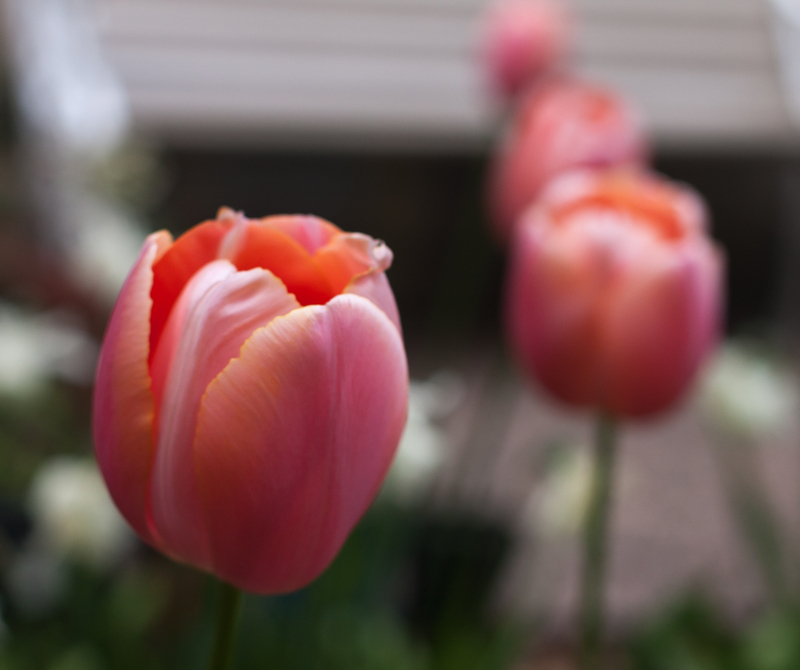 The most dramatic blooms came from my long-awaited, enormous, apricot pink late ‘Menton’ tulips. They exceeded my very high expectations and I cannot recommend these beauties enough, especially if you want to extend your tulip season to May — or even, if you live in the North, into June. If you’re interested in why this tulip is named Menton, just Google for images of the beautiful apricot pink town of Menton, France, and you’ll see. 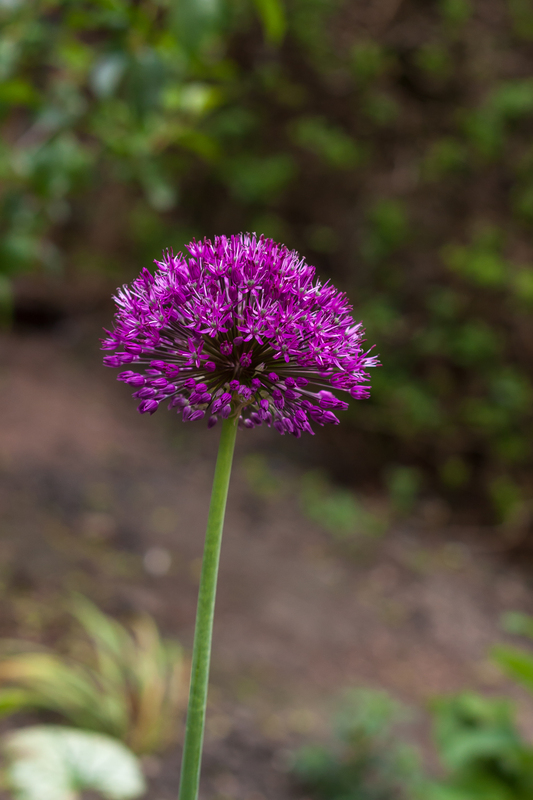 The three alliums that I bought at Bodnant in March have done well, and I hope they will self-seed and spread a bit. Now that I know they do all right here, I will certainly increase these next year as they provide important height before the foxgloves kick in. And can anyone else claim to have alliums blooming alongside narcissi? 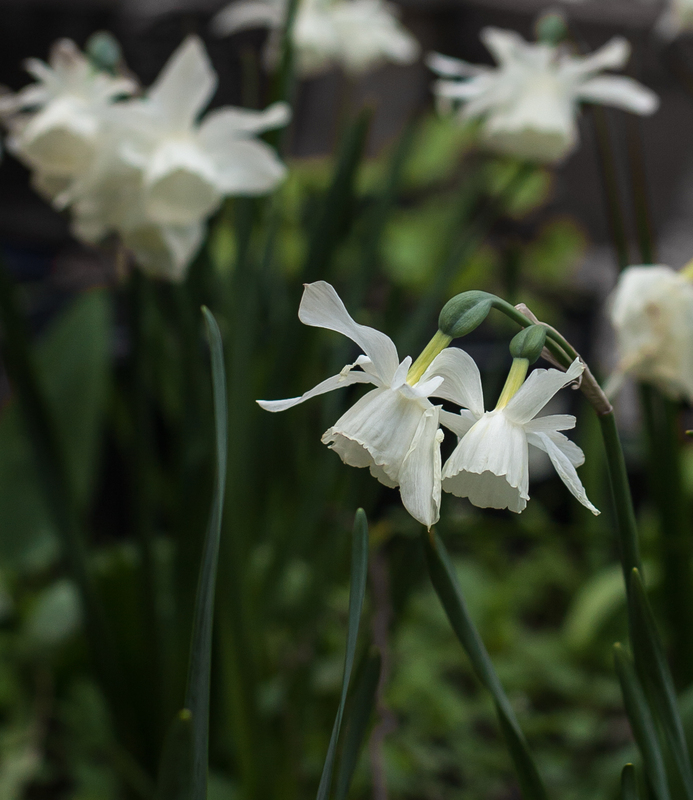 These narcissi I rescued from a tub I had created last year and replanted in January along with the tulips. The hostas have been attacked by that aforementioned vicious predator, the wind, so while they remain virgin of slug nibbles, I am sorry to see that the beautiful leaves have been ripped mercilessly in several places. This green and yellow hosta was a lovely surprise. The only reason I hadn’t turned out and reused this clay pot of unpromising bare soil, which had been left in the garden by the previous occupier, was that it was acting as a weight on the bottom shelf of the cold frame. 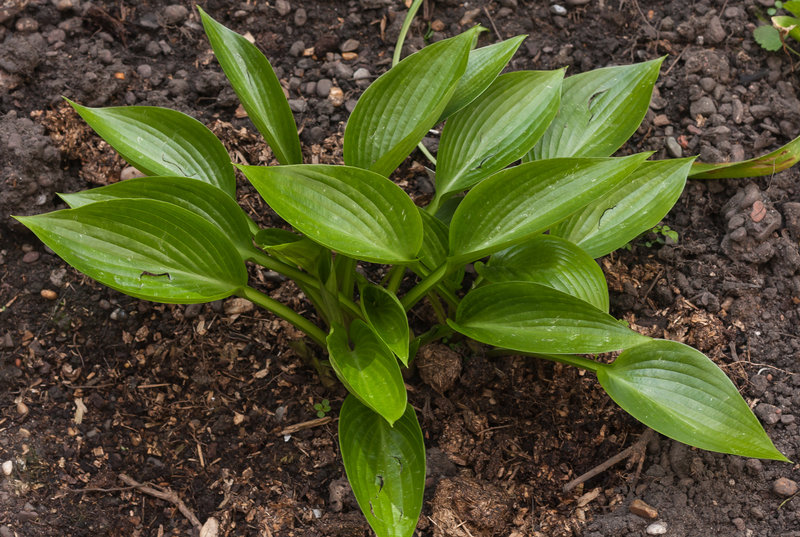 Then I noticed unexpected shoots poking through, hastily bought it out and watered it, and shortly appeared the gift of this little hosta. I shall try to divide and repot it at some point. 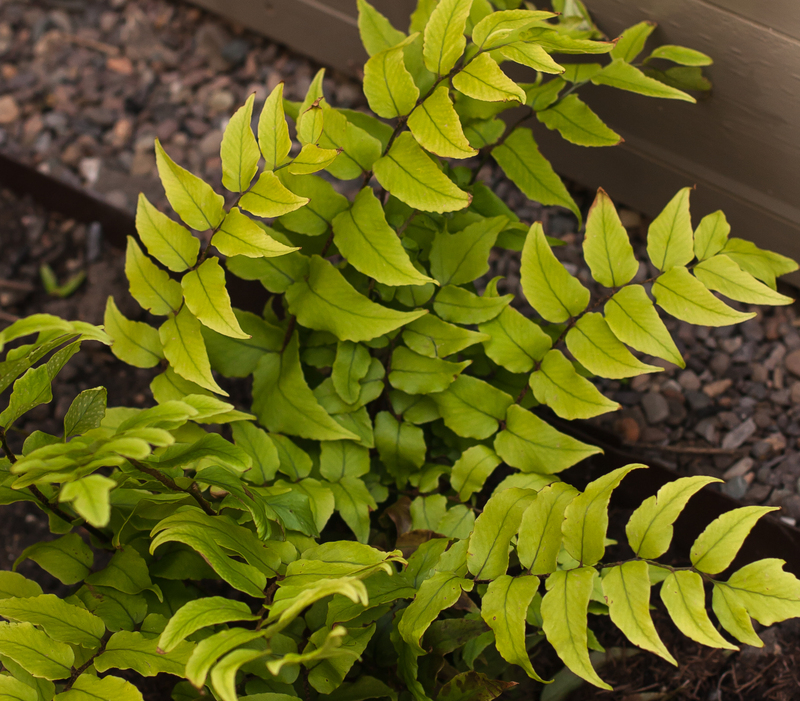 Elsewhere, we have Ajuga reptans, two lovely new heucheras (I couldn’t decide on the colour so bought both), and this gorgeous new fern, which I thought contrasted beautifully with the faun-brown of the shed. I’ve gone through my bag of labels but I fear the labels for these latter three are in a pot in the cold frame so I’ll fill their names in when I’ve retrieved them. 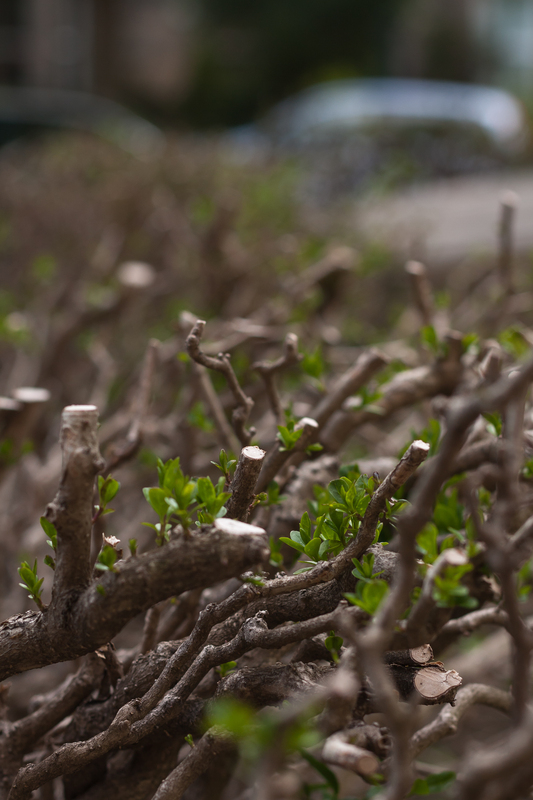 The hedge is growing back, thankfully, vindicating its heavy pruning; the Brazilian had been saying ‘You’ve gone and killed it’ for weeks, till now. 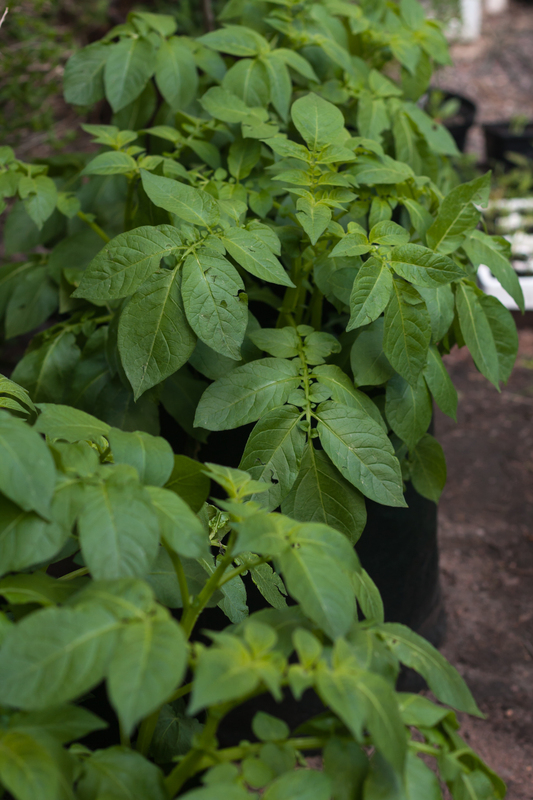 Potatoes in collapsible growers. The wind has split and torn their leaves. The potatoes are doing fine in their collapsible potato growers. I’ve had mixed feelings about these growers, finding that non-rigid sides are possibly detrimental to watering and plant stability, although doubtless I’ll appreciate them more when it’s time to fold them up and stow them for the winter. Also, I’ve diverted the large rigid planters I used last year to different purposes, namely to repot the pear tree I haven’t had time to plant out, and the rose (David Austin’s climbing Tess of the D’Urbevilles) which the builders promised most fervently to kill should they find it still in place when they come to put in our French door. Finally, here are the seedlings I sowed this winter/spring, enjoying their first few days out of the cold frame. (They had to go hastily back inside this week, as early June night temperatures dipped back down to four or five degrees). We have delphiniums, penstemon, aubretia, white cosmos, and a clematis cutting that I did not expect to survive the winter, or the snail attacks, in our rented back garden. Not in the picture is my single experimental dahlia, ‘Cafe au lait’, and two honeysuckles, Serotina and Tellmann’s, rescued from a Morrison’s sale shelf, 99p each and in utter, hopeless despair after a long, sunless in-store sojourn. In fact, they looked about as happy as I do after time spent in a supermarket. Needless to say they’ve bounced back after a week or two outside in the garden. June will bring a few challenges. The Brazilian took me to the flat last night and proudly displayed the bathroom, which now has not only no basin, lavatory or bath, but no flippin’ floor, before taking me into the kitchen, whose sink has gone the same way. ‘How am I going to water the plants?’ I wailed. I must be the only person scanning the weather forecast in hopes of rain rather than sun. I foresee trips to the flat in the car with buckets, jugs, cans and tubs of water. End of month view is hosted by Helen at the Patient Gardener. Previous Post The bluebells are coming, oh ho! Thank you – it keeps me out of mischief! Yes, I was expecting shade, frosts, poor soil, but not this relentless wind. I have been keeping an eye out for which plants are hating it (daisies, poppies) and which are ‘breezing through’ it (bergenia, primulas). I’ll multiply the latter. Am hoping to visit Menton this summer, as we’ll be passing through Nice with some friends. I’ll report back! 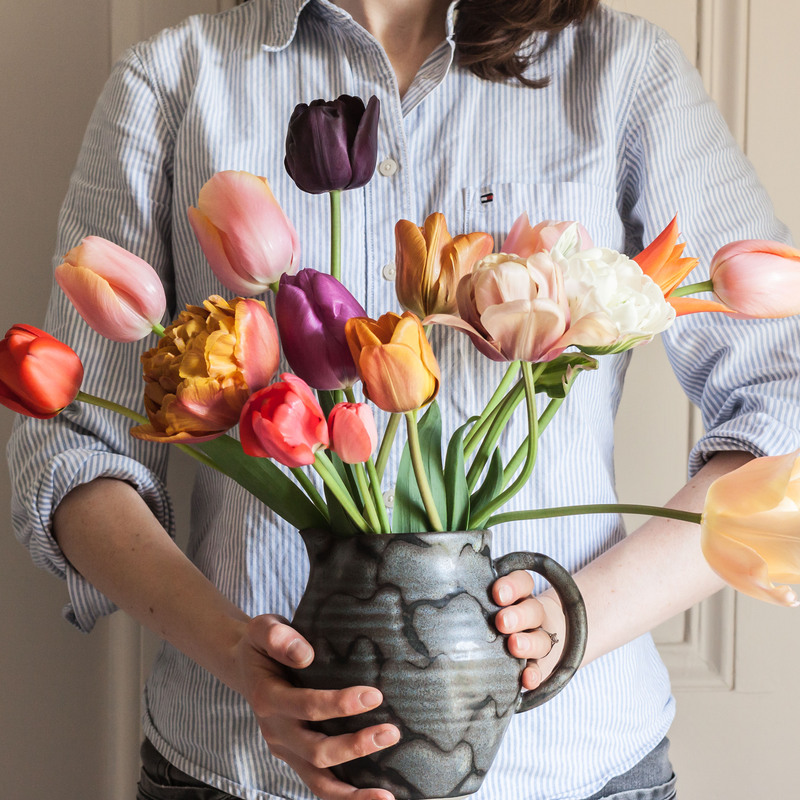 Do get the Menton tulips, I am sure you won’t regret it, and they seem especially robust to the wind, having lasted quite a long time. Things are beginning to fill out now Joanna and I think you are being sensible in working with what does well in the garden. I know I’ve wasted way too much time (not forgetting the expense) on plants that just don’t want to live here. Your seedlings are coming on a treat as are your tatties. Thanks Angie – let’s see how things go. Thank you for the tip about the alliums; it’ll be interesting to see if they come back, in that case. It’s no problem to buy more, which I’ll do in any case. The seedlings are so much happier out of the cold-frame. Let’s hope these ‘warm’ (ie. not freezing) evenings hold out so that I can keep them outside from now on. Your gaden is filling out nicely, my goodness it is cold up there. Mind you it has been very windy everywhere this May. I love the tulip Menton. And for once I’m grateful for the cold. Even though I have been going to work in my ski jacket(!) at least my new plants have plenty of time to develop root systems before having to deal with any prolonged warmth or dryness. It will stand them in good stead for the future. 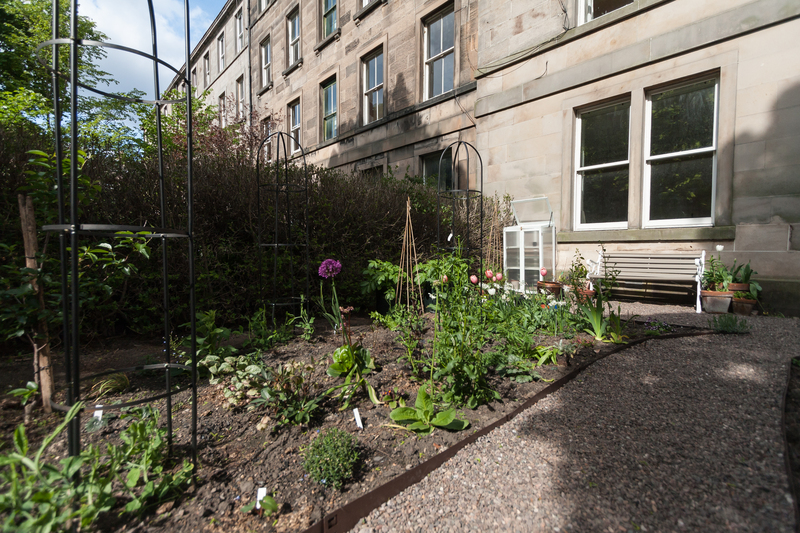 The garden is looking lovely and it’s always challenging to deal with town gardens, especially those in a terrace house. Endless wind, or being in the shade all morning until the blazing sun hits in the afternoon, or competing space constraints, but you’ve managed to create a really restful space that’s coming along so nicely! Thanks Matt… I thought the space would fill quicker than it has. I am still frustrated by all the gaps between plants and am having to hold back from filling them before the plants have had time to expand into them. I take heart and encouragement from seeing all the elegant, healthy gardens of my neighbours, who have produced wonderful spaces under the same conditions. Throwing plants in and seeing what sticks is not a bad strategy. I’m beginning to think I should do the same here.. Lay out the larder and see what survives being eaten, then concentrate on those. My patience with the wildlife is wearing thin. 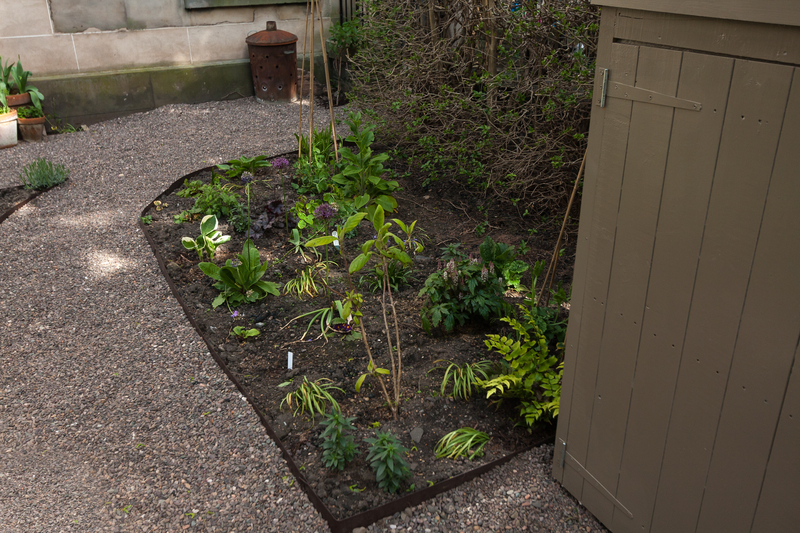 Thank you – it’s not a cheap strategy but what other choice is there when your garden is new to you? Apart from not adding plants that would obviously hate the conditions… giving a chance to potential survivors is the best way, I think. And I’ve had only one total casualty so far (a coleus that literally disappeared to its grave within about 48hrs of being planted). 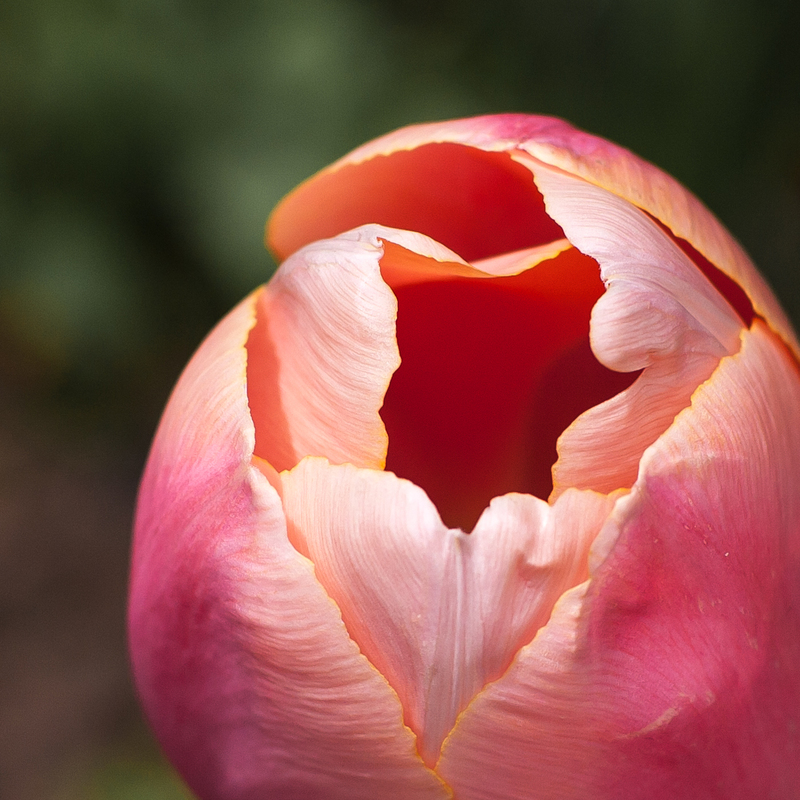 I love your crisp beds and gravel paths…everything so neat…and lots of blooms and foliage….I adore that tulip! I am looking at a similar colored one for my garden this fall. I think I am sold! Thanks Donna… you won’t regret the Menton. I daresay it will be less draughty when your privet has thickened up a bit. I’m impressed by how your Menton tulip has stood up to the blasts which shredded the hosta leaves. 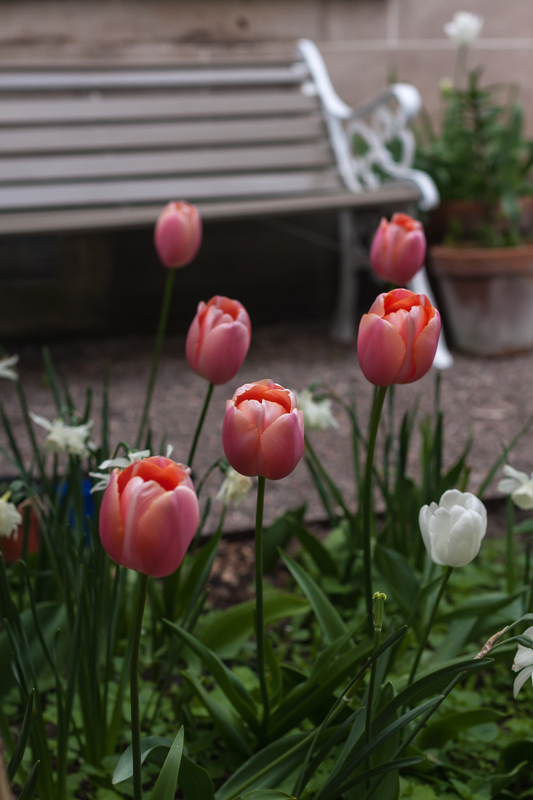 Very early in my gardening career after the first few flattened potsful I decided to avoid any tulip over 16″, but Menton is listed as over 24″. Lovely colour, handsome substance, what a winner! The watering problem seems awkward. I suppose there’s no communal tap on the back green? If not, what about collecting water from the shed roof? You’d need a length of guttering and a container. 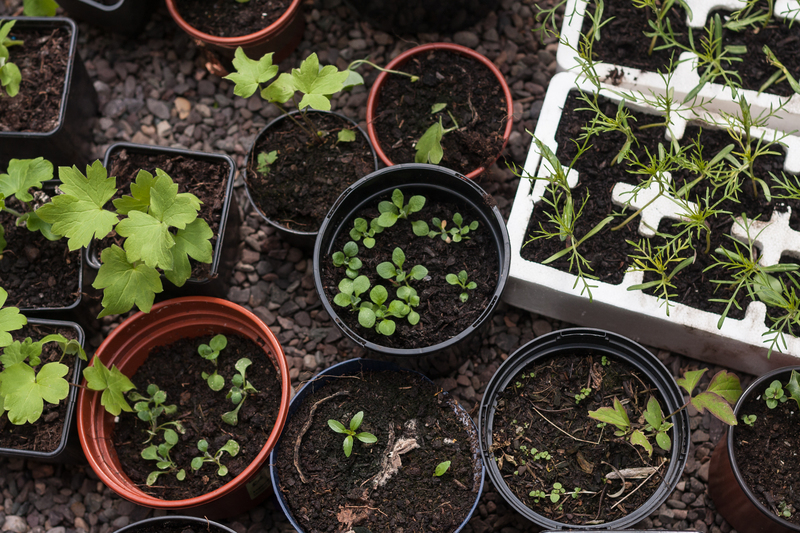 You wouldn’t get much from so small an area, but it might be enough to keep your pots moist. It could be handy in the long term too. 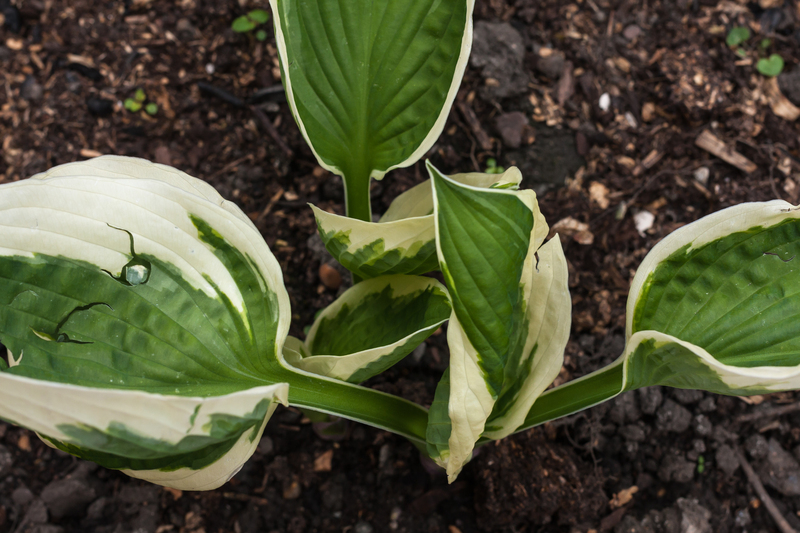 Love your Devon Green hosta, beautiful colour and leaf shape. Nice allium. If it doesn’t return next year I suggest A christophii, which is a bigger paler flower on a shorter sturdier stem. Mine have come back year in year out since 1995. I can’t properly see the daisy you complain of, but if you want a neat daisy flower for May try Anthemis punctata cupaniana. 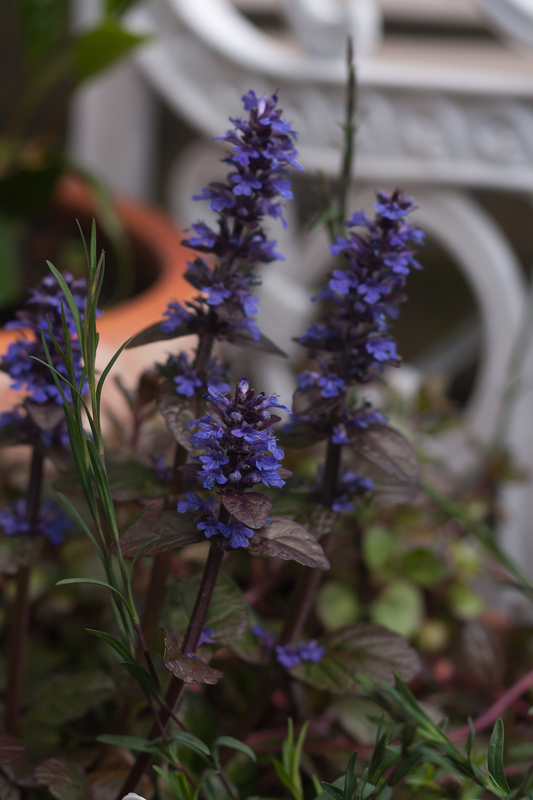 It’s not very tall and has low-growing silver aromatic foliage. The daisies themselves are a bright – almost shiny – clear white with yellow middles. Sound ordinary but actually a bit special. The Menton is a tough beggar, like a bouncer outside a nightclub, huge and tall, and punch it as hard as you like but it barely sways. Watering problem solved. The builders have made a sort of hose tap thing in the kitchen. It comes out at mains pressure and fills the watering can in about three seconds flat. That daisy looks lovely but wants full sun. Must all daisies have full sun? Seeing your tenement flat makes me feel homesick! Your garden is coming on and looking really good. My, what a lot you’ve got! Are you still renting, while you are refurbing your flat? Double the work! The Menton is such a beautiful colour. That’s on my list now! And what better reward for enduring the supermarket! “Mr. Chef” loves it! Me? It’s as quick as I can get round and out! Thank you for your kind comments. Our rented garden is very little work, thank goodness, or I’m not sure how I’d cope. P.s. I remember the wind! It’s notorious! And I’m not homesick for that!